The fourth stop of the Element MAKE IT COUNT Contest Series recently went down at Ollie's Skate Park in Florence, KY. Kids came out from far and wide to compete for an all expenses paid trip to the MAKE IT COUNT finals, and a trip to The Berrics with the Element team. 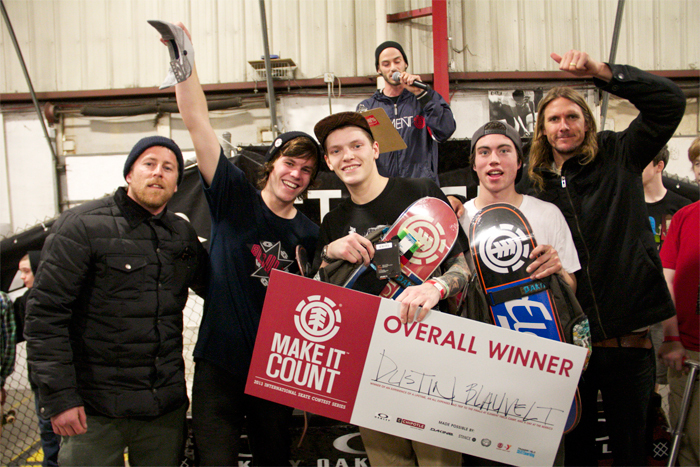 Everyone was ripping, but when time was up, it was Dustin Blauvelt who took home first place and a trip to the finals for the second year in a row. Thank you to everyone who came out to skate with us, and we'll see you at the next stop! Stay tuned for more events!